Exclusive Interview with US Ambassador James Cunningham | . :: Elections 2014 ::. U.S. Ambassador to Afghanistan James Cunningham sits down with TOLOnews’ Lotfullah Najafizada for an interview, in English, on Afghan elections. TOLOnews: Ambassador Cunningham, thank you for your time. James Cunningham: I am glad to see you. TOLOnews: We are in the middle of a very tense political environment at this stage. The UN proposed the election commission criteria for invalidation of votes and the UN said that it has the “full international backing”. Is that something the US government has supported as well? James Cunningham: Yes, we have. You know that the agreement between the candidates was to conduct the audit under UN supervision with a very active UN role. I am pleased to say that the commission last night adopted the final set of proposals and procedures that the UN put forward based on very intensive consultation with the candidates. The UN proposal doesn’t meet 100 percent the concerns of either candidate but it’s the best effort by the UN experts to create the final part of the proposals necessary for the audit and then for the invalidation procedures to go forward. So we are glad that they have been adopted and we look forward to resumption of audit on Saturday. TOLOnews: And, that’s non-negotiable. That’s a done deal? James Cunningham: That’s done, as far as we are concerned. Yes. TOLOnews: Camp Abdullah has said that the proposal has its own flaws and cannot marginalize the fraudulent votes and they are threatening to boycott the process. Is that something which worries the United States? James Cunningham: Well, we have been in contact with them over the course of past week as well as with the Ghani camp. As I said, this is the best effort by the best elections experts to meet the concerns of both candidates and to find a way forward that will provide the best chances of success for the audit. We believe that that task has been done after a lot of hard work by the UN experts and we encourage both candidates to go forward with the audit that they committed to in the agreement. TOLOnews: You said you encourage them, but you cannot force them, of course, to accept the criteria. James Cunningham: Well, nobody can force them do to anything. But they agreed to have this 100 percent audit of the ballot boxes. They agreed to accept the outcome of the audit and they agreed and welcomed the UN role and supervision, which is a very important component of assuring the credibility of the audit. The UN is working hard to fulfill that role. It’s the only body that can do that and they have the full support, I think it’s safe to say not just the United States, but the rest of the international community. TOLOnews: But, Mr. Ambassador, this is not the best case scenario; I mean the candidates, as you said, have their own concerns so we could achieve a better deal. James Cunningham: I don’t think there is a better deal. I can assure you that over a period of some ten days or two weeks, in very careful and detailed discussions with both candidates and their teams, the UN experts made every effort that they could to meet the concerns of both of the candidates consistent with international best practices. We support the proposal that has been made. We support the going forward with the audit on that basis and we urge both the candidates also to do so. 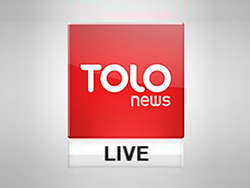 TOLOnews: Now with the concerns in place of course with the criteria, should the Afghan people be worried about one candidate stepping out of the process and putting the country back at square one? James Cunningham: I hope that won’t happen. Both candidates have a stake now in going through the only process that is available to produce an outcome to the elections and to validate that outcome. That is the basic premise of the framework agreement that they agreed to that had bringing the UN expertise and role to bear is a way to strengthen and support the elections commissions and the job that they legally have to perform. The basis for that is now fully prepared. Most of that had been done earlier. But the procedures are now fully in place to do that. And again, we urge both the candidates to go forward on the basis that they agreed. They asked for the UN to play this role. The UN is doing its best to do so. They bring the best expertise and the most neutral expertise to bear on the process and they have worked hard with the candidates to meet as many of their concerns as they can, again, consistent with the international best practices. TOLOnews: But you are not confident that they would accept the ground rule now? James Cunningham: I hope they will. I very much hope that they will. TOLOnews: But you didn’t say you are confident. James Cunningham: I don’t know. I haven’t heard a reaction from them as the procedures were just adopted last night. Both the candidates are still out of the country. I hope when they return and consult with their teams, they will agree to go forward as they had told the UN that they would do by the way several days ago. TOLOnews: So, if this is the ground rule, the IEC will resume auditing on Saturday and is there any indication that how much time would it take to finish? James Cunningham: That depends very much on the pace of the audit which needs to be accelerated from rather a slow beginning, which was expected because it has been a learning process that everybody is going through this. This is a very unique kind of experience. No election has ever been audited like this before with this kind of scope. But the original estimate was that the audit will go through 1,000 boxes a day once it was fully up and running. We hope that they will get to that stage in the near future and once we see the maximum pace they can perform, then we will have a better idea how long the audit will take. But we hope that it would possible to conclude it in the next four or five weeks. TOLOnews: That means by mid-September. James Cunningham: Well, we had originally hoped to have it done before the end of August so that’s still our goal because we would like as the candidates would like to have a president inaugurated before the NATO summit in the beginning of September. But we will have a better idea in a week or so if that goal can be met. TOLOnews: We talked about the technical side of the issue, but there was a political agreement reached between the two candidates brokered by Secretary Kerry and one very unique aspect of it is the establishment of a Chief Executive post. What’s your analysis of that position and how powerful [would] that position is in the incoming government? James Cunningham: Well, the agreement does call for the President to create that position – Chief Executive Officer – but it does not describe what that position will do or what its powers are that’s something the candidates will have to discuss further as there were many other aspects of that political agreement. The political agreement is a framework sets out general principles but it doesn’t resolve or address many of the details that will be actually needed to form what is called a “national unity government.” So we believe those discussions need to begin soon so important details like that can be elaborated and flushed out. But one thing is clear though, just to be clear, there is nothing in the framework agreement that establishes or suggests that there will be parliamentary form of government. It’s clear that the government will remain as it is under the Afghan constitution – a presidential form of government with the president having the authority over the government. TOLOnews: So there is head of state, head of government split? James Cunningham: There isn’t a split. There is a president. There is a Chief Executive Officer, which may eventually become a Prime Minster that will depend on experience and the Loya Jirga if that is the will of the people. There is another position created called Leader of the Opposition, but it’s not an opposition in the parliamentary sense. It’s meant to signify the person who is the runner up in the election will have a role in the government as a partner and that’s what the nature of the unity government agreement is about. It’s about how to create a partnership and cooperation between the two candidates after the winner is determined by the audit. James Cunningham: It was probably not the best term because it implies that there is an opposition, which is not really the intent of the framework. The intent of the framework is to provide and promote cooperation between the two candidates and their teams after the winner of the election is known. So, how those positions will relate to each other in a cooperative relationship in the future is something that the candidates have to work out. TOLOnews: Mr. Ambassador, what was your reaction to the IEC announcement that there were 8.1 million voters in the second round? James Cunningham: Well, there were 8.1 million votes, ballots. I thought the number was less than eight million, but it doesn’t really matter. Everybody knows that there were some fraud committed on both sides of the campaign, but nobody knows what the degree of fraud is. That’s what the purpose of audit is to determine. TOLOnews: Was better or worse than the 2009 elections? James Cunningham: I don’t know. I wasn’t here in 2009 and I am not going to comment on what has happened in the past. The point is that nobody really knows for a fact what happened in the election and what the outcome is. One of the few things is undoubtedly true though, is whatever the scale of the fraud, which the audit has to determine, is that there were many millions of valid ballots cast in the elections. Under the worst possible scenario, many more valid votes than invalid votes (were there) and that’s an important principle behind the audit as well that it’s important to recognize the millions of Afghans who went to the polls and cast their votes. The election in most parts of the country went as it was supposed to and the institutions performed well and the people came out in very large numbers to vote so all those things happened. The legitimacy of those votes needs to be recognized. TOLOnews: Who is responsible for the electoral mess? Of course not the people who braved the Taliban threats and voted? James Cunningham: That is not for me to say. I won’t comment on that; there are lots of accounts of what happened in various places. TOLOnews: Was President Karzai partial in the elections? James Cunningham: President Karzai has consistently maintained that he is not partial in the elections that he has been neutral and that he wants the election process to run the way it is intended to run and I think that he has maintained a very useful role in encouraging the candidates to follow through with the election process, to begin a political dialogue and encouraging the commissions to perform their duty; their function. TOLOnews: My last question, Mr. Ambassador, what are the lessons learned from the 2014 elections? James Cunningham: Well, I hope that at the end of this process, although it has been flawed in some respects, I hope that the Afghan people will see, as I said, that for many millions of Afghans the elections worked as they were supposed to. Millions of people went out to vote and the process functioned properly and there are millions of legitimate votes in the system. The exact lessons learned I think will be for people to look at after this process is completed and after there is an outcome and a President in office, an important part of the political framework is the commitment of both candidates to reform agenda and that includes electoral reform. I think they both acknowledge that means needs to be found to try to figure out what didn’t work this time around institutionally and to be fix that before the next round of elections. TOLOnews: Mr. Ambassador, thank you for your time.